I love crunchy bikkies …. dunking them in a hot cuppa was always a favourite! 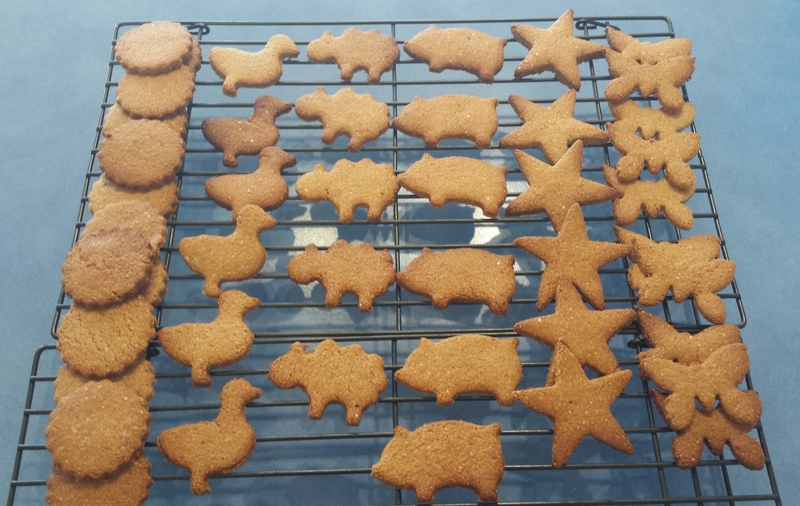 These delicious bikkies meet my sweet and crunchy requirements but they are also free from refined sugars and have some great fibre and good fats. My kids (and husband!) all love them. 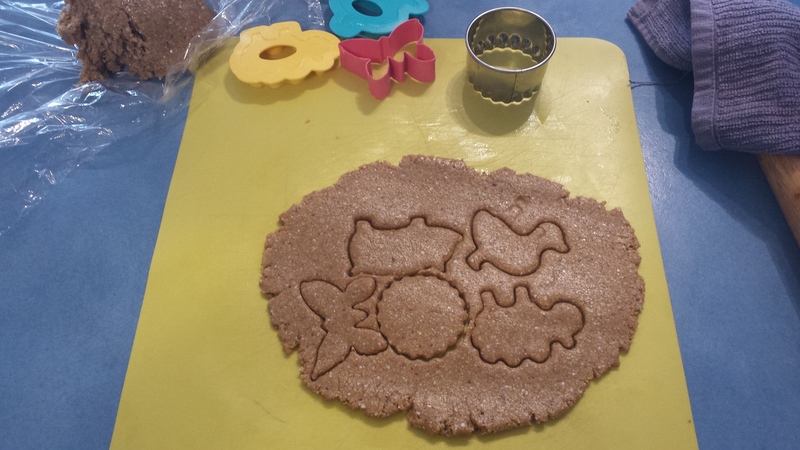 They are simple to make, the kids love choosing their own shapes and they are really easy to adapt to meet most allergy requirements. See below the recipe for options to make these friendly for coeliacs, those who are nut free, and even a chocolate version. 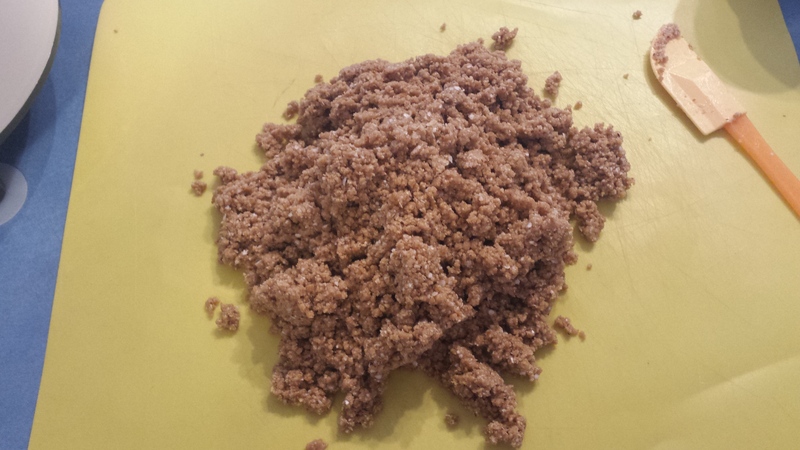 Add the rest of the ingredients and process until smooth and well combined – will be quite crumbly at this stage. (Speed 5 for 10 seconds, then scrape down edges and speed 4 for 10 second intervals). Tip mixture out and form into a smooth dough. 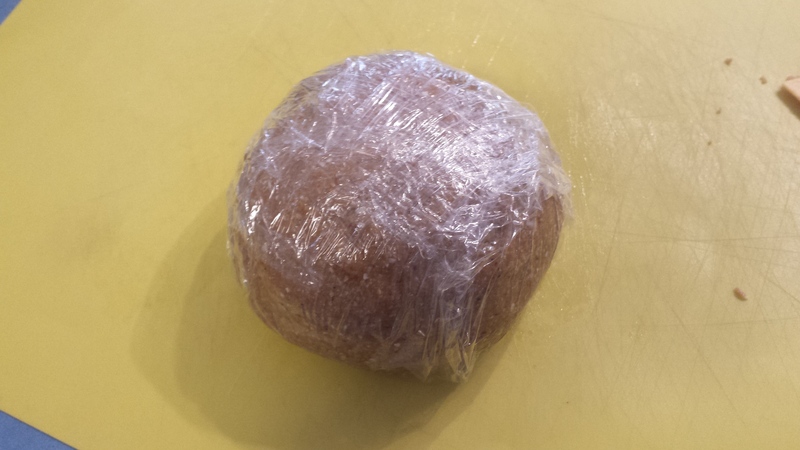 Wrap in plastic wrap and place in fridge for half an hour. Roll out, to about 4mm thick and cut into shapes. The thinner you roll them the quicker they cook and the crunchier they are. 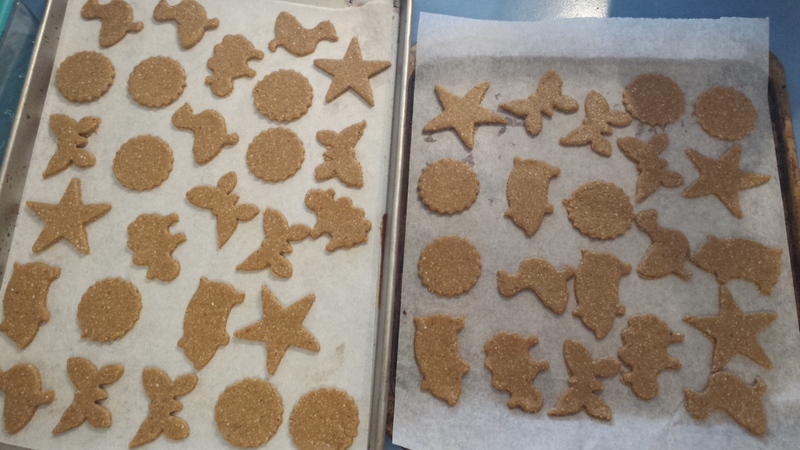 Place on lined baking trays and bake for about 12 minutes, or until golden brown, in a preheated 180C oven. They will be soft when removed from the oven and will crisp up on cooling. Makes about 45 – depending on the size of your cutters. When completely cooled, store in an airtight container for up to a week. For a Nut Free Version: replace the almond meal with roasted sunflower seed meal and the nut butter with the sunflower seed butter. For a Chocolate version: replace the nut/ seed butter with a chocolate hazelnut spread like this one. For a Coeliac friendly version: replace the oat flour with equal quantities of a plain GF flour mix or buckwheat flour.